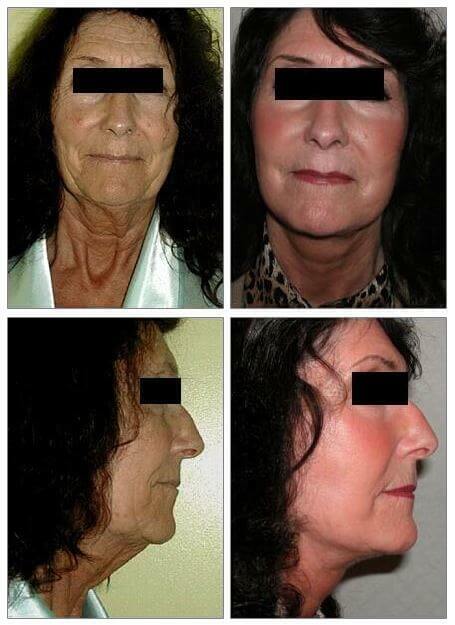 FACE-LIFTING means trimming off the redundant facial and cervical skin and the surgery of the facial fascia (SMAS). The incision is made on the hair-covered skin in the temporal area along the natural crease in front of the ear, around the earlobe, then up the back of the ear until the hairline on the neck. Not required, however a single day of recovery in the clinic is recommended. Temporary swelling, numbness, stiffness and dryness of skin. Temporarily lessened sensation in the cheeks. Men: need to shave behind the earlobes and on the ear crease where the skin was lifted. Extended healing, scars behind the ears. Facial muscles nerve damage (extremely rare). Removal of stiches: 5-12 days after the surgery. Return to work: 10-14 days. Intensive activities: over two weeks. Complete healing of the swelling: 2-3 weeks. 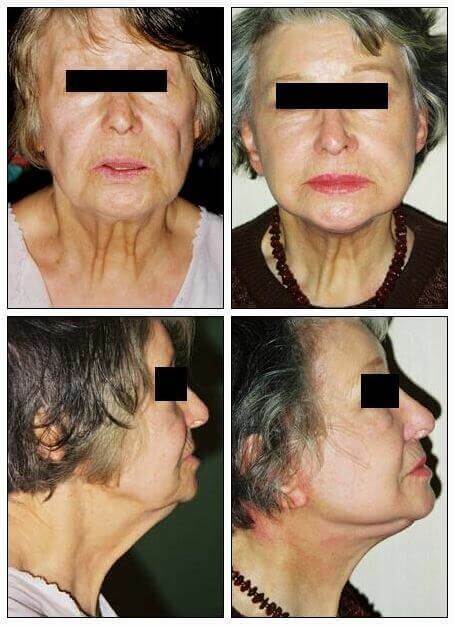 It is necessary to avoid sunbathing for several months after the surgery. About 5-10 years. 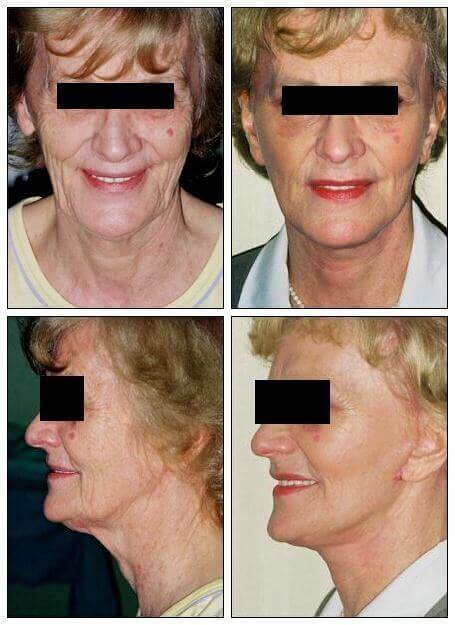 Face-lifting means rejuvenating the look of the face but it does not stop the process of ageing. After approximately 10 years another surgery might be recommended.